The 18th annual Tel Aviv Pride Parade took place on June 3, 2016 with more than 200,000 participants from Israel and oversea. It's the largest event ever in the Middle East. The theme for the 2016 event was “Women for Change,” highlighting the role of women in the LGBT community. Postcard TW-1958271 from Taiwan shows the Tel Aviv Pride Parade from a previous year. 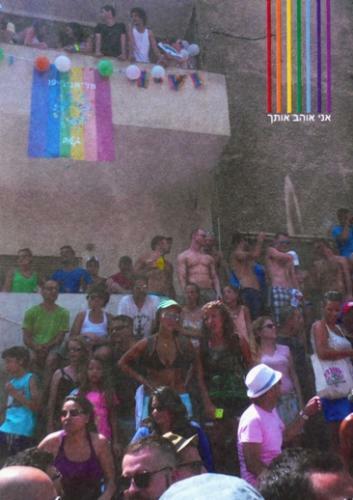 The 2017 Tel Aviv Pride Parade will be held on June 9, 2017. In the United States, thousands turned out in Columbus, OH, Denver, CO, Olympia, WA, New Orleans, LA, Portland, OR, Chicago, IL, Albuquerque, NM and Providence, RI. for pride festivals and parades over the weekend. The mood for many people was somber as forty-nine people were killed and more than 50 others were wounded in a mass shooting inside the Pulse nightclub in Orlando, FL last weekend on June 12, 2016. Security were tightened at events over the weekend. Participants declare that they refuse to live in fear, with more people come out to show support.